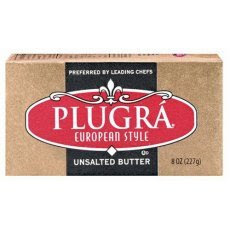 We love our Plugra as well! It's only one I buy!!!!! Didn't your Mom write and ode to Plugra once? ...opps, an ode to Plugra. The apple doesn't fall far from the tree! And neither does the stick of butter, it seems. Thanks for commenting!